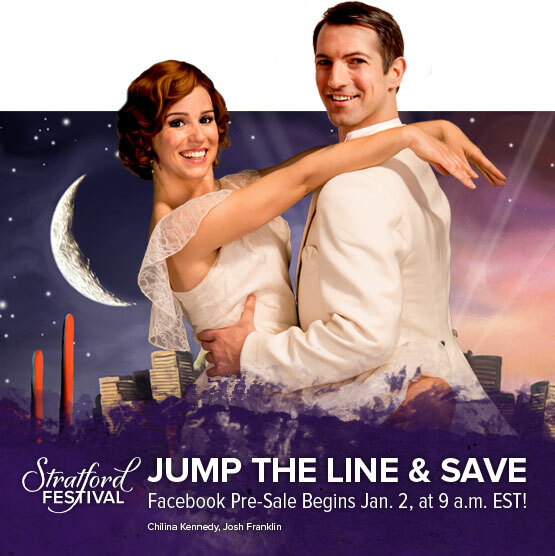 February 14, 2014… The Stratford Festival welcomes five new directors to the Michael Langham Workshop for Classical Direction, along with three directors returning to the program for a second year. New to the workshop are Christine Brubaker, Jessica Carmichael, Brett Christopher, Krista Jackson and Rona Waddington. Returning for a second season are Kevin Bennett, Mitchell Cushman and Birgit Schreyer Duarte. The workshop, now in its fifth year, is intended for directors in the early and middle stages of their careers who have had some experience working with the classics, but not at a theatre of the complexity and scope of the Festival. Participants will serve as assistant directors and are given the opportunity to showcase their work by presenting a classical piece of their own choosing to an invited audience later in the season. They will also participate in classes in text, voice, movement and other disciplines held by the Festival’s Coaching Department. The workshop is overseen by Mr. Cimolino and Theatre Training Consultant David Latham. Associate Producer Bonnie Green is the coordinator of the program. The Michael Langham Workshop for Classical Direction is generously supported by Johanna Metcalf, the George Cedric Metcalf Charitable Foundation and The Philip and Berthe Morton Foundation. The workshop is sponsored by the RBC Emerging Artist Project. Second season: Assistant director of King John. Stratford: The Three Musketeers (assistant director), Macbeth (Michael Langham Workshop for Classical Direction Directors’ Workshop Presentation). Vancouver: Directing: Measure for Measure (Pacific Theatre); King Lear, Hamlet (The Honest Fishmongers); Fallout, Treasure Island (Studio 58); The Loudest Silence, 7 Stories (Templeton Secondary School); Cold Comfort, The Woman in Black (Yogurt Theatre); The Priory (United Players of Vancouver); Macbeth, Pet Stories (Limbo Circus Theatre); To Sea, or Not to Sea (Burnaby Summer Theatre); Paper Boats (Walking Fish Festival). Assistant director: She Stoops to Conquer (Arts Club); Richard III, Much Ado About Nothing (Bard on the Beach); NiX (The Only Animal, Cultural Olympiad); The Merchant of Venice, Heptademic, The Winter’s Tale, Lot’s Wife (Studio 58). Training: Graduate of Studio 58; RADA’s How to Rehearse directing course. Stratford debut: Assistant director of Alice Through the Looking-Glass. Elsewhere: An award-winning actor, director and teacher, Christine has performed nationally and internationally. She just completed a season in the National Arts Centre’s acting ensemble: Tartuffe, The Sound of Music and Enron. Acting: Fear of Flight (Artistic Fraud); The Vaudevilles of Chekhov (NAC); The Penelopiad (Dora Award) and The Danish Play (Nightwood Theatre); The Comedy of Errors (Canadian Stage); The Trials of John Demjanjuk (Theatre Asylum); The Babysitter (Theatre Direct – Dora Award); Schoolhouse (Festival Players PEC). Directing: Much Ado About Nothing (Nightwood Theatre); Madhouse Variations and Doc Wuthergloom’s Haunted Medicine Show (Eldritch Theatre – resident director); Elle (Lab Cab). Assistant Director: Cinderella (YPT), Measure for Measure (Ryerson), Metamorphoses (NAC). Training: National Theatre School, University of Waterloo, MFA Interdisciplinary Arts, Goddard College. Awards: Fox Fellow. Et cetera: Christine is a regular instructor at Humber and Sheridan colleges. Stratford debut: Assistant director of Christina, The Girl King. Elsewhere: Selected directing: Good Grief (Weesageechak Festival-26 – Native Earth Performing Arts); girls!girls!girls! (co-director, SummerWorks); The Ghost Sonata – an adaptation (Studio Theatre); Juliet – an adaptation, Skylight (UofA); The Sophocles Project (RADA). Assistant directing: Yellow Moon: The Ballad of Leila and Lee (Studio Theatre); Edward the Second (Jerwood Vanbrugh Studio, U.K.). Has acted with such companies as Theatre Junction, ATP, The Only Animal, Suitcase In Point, Northern Light Theatre. Film/TV: The Reporter, I Think I Do, Heart of the Sun. Recordings: The voice of Tiger Lily on The New Adventures of Peter Pan. Training: MFA in Directing (University of Alberta), MA in Text & Performance Studies (Royal Academy of Dramatic Art/King’s College London), three-year Acting Program (The National Theatre School of Canada). Et cetera: Artistic Associate with Native Earth Performing Arts. 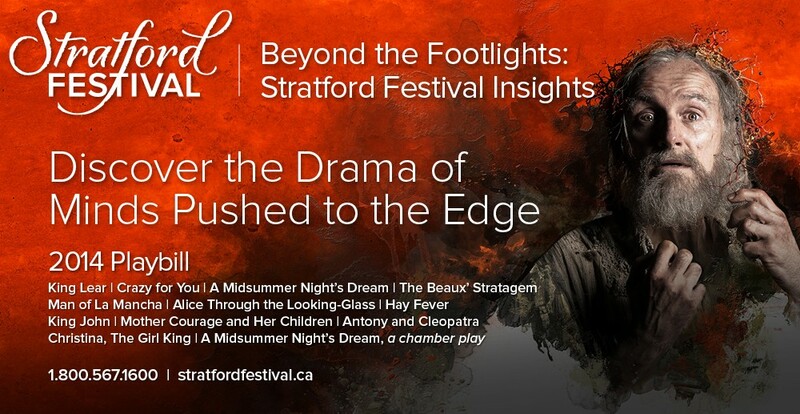 Stratford debut: Assistant director of A Midsummer Night’s Dream. Elsewhere: Direction: The Tempest, The Taming of the Shrew, Twelfth Night, Shakespeare on Love (Theatre by the Bay); The Grandkid, Rat Snake (Theatre Kingston); Munschapalooza (Thousand Islands Playhouse). Performance: Boeing Boeing, The Clockmaker (TIP); Vigil (Theatre Kingston); I Am My Own Wife, Dangerous Liaisons (Segal Theatre); Antony and Cleopatra (Shakespeare in the Rough); Much Ado About Nothing (Canadian Stage); Family Stories: Belgrade, The Sea (ARC); A Midsummer Night’s Dream, Romeo and Juliet, As You Like It (Theatre by the Bay); The Gladstone Variations, Autoshow (Convergence Theatre); Mary’s Wedding (Theatre & Co.). Training: Queen’s University, George Brown College. Awards: Masques Award and a MECCA Award for his performance in I Am My Own Wife, Segal Centre (Montreal). Et cetera: Brett is the Artistic Producer of Theatre Kingston. Second season: Assistant director of The Beaux’ Stratagem. Stratford: Assistant director, The Merchant of Venice. Elsewhere: Directing: Vitals, Terminus, Mr. Marmalade, The Agony and the Ecstasy of Steve Jobs, Oh the Humanity and Other Good Intentions (Outside the March); New Jerusalem (Harold Green Jewish Theatre); The Last of Romeo and Juliet, Possible Worlds (Talk Is Free Theatre); The Cripple of Inishmaan (Studio Theatre, Edmonton); Oh My Irma (Edmonton Fringe); Seeds (touring director, Crow’s Theatre). Training: MFA in Directing, University of Alberta. Awards: Siminovitch Protégé Award; Dora Award for Outstanding Production (Mr. Marmalade); Toronto Theatre Critics’ Award for Best Director; Ken McDougal Award; SummerWorks Prize for Production (Terminus). Online: www.outsidethemarch.ca. Et cetera: Founding Co-Artistic Director of Outside the March; Associate Artistic Director of Crow’s Theatre; resident artist at Theatre Passe Muraille; faculty member at Act 2 Studio at Ryerson. Stratford debut: Assistant director of Mother Courage and Her Children. Elsewhere: Directing: The Seagull, The Seafarer (Royal Manitoba Theatre Centre); Dying to be Thin (Manitoba Theatre for Young People); The Miser of Middlegate (zone41 theatre/Theatre Projects Manitoba); If Men Played Cards as Women Do, Overtones (Shaw Festival); Village Wooing (zone41 theatre). Assistant directing: Hedda Gabler, Misalliance, His Girl Friday (Shaw Festival); The Wizard of Oz (Globe Theatre). Training: Shaw Festival’s Neil Munro Intern Directors Project 2012, Rumble Directors Lab 2013 (Peter Hinton), Ryerson Theatre School. Awards: Gina Wilkinson Prize (2013). Nominated for: John Hirsch Prize (2014), Winnipeg Arts Council’s RBC On the Rise Award (2012). Online: www.zone41.ca. Et cetera: Founding artistic director of zone41 theatre. Second season: Assistant director of King Lear. Stratford: Assistant director, Mary Stuart (2013). Elsewhere: Most recently: Director/translator, Purgatory in Ingleton (Toronto SummerWorks Festival). Upcoming: Assistant director/dramaturge, To a Flame (Swedish/Finnish/Canadian co-production). Director, Little Pea’s Revolution (United Solo, New York); translator, The Test (Company Theatre), Life of Galileo (Small Wooden Shoe); director/translator, Kaspar & the Sea of Houses (SummerWorks); assistant director, The Cosmonaut’s Last Message, intern director, Fernando Krapp Wrote Me This Letter (Canadian Stage). Training: Theatre Ontario Professional Training Program Directing (mentor Josette Bushell-Mingo); University of Toronto (PhD, drama); Munich University (MA, dramaturgy). Awards: SummerWorks Festival Prize for Outstanding Production; nomination, Helen and Kurt Wolff Translator’s Prize; Government of Canada Research Award. Online: www.birgitschreyerduarte.com. Et cetera: Literary associate, Shaw Festival. Currently: Artistic and dramaturgical consultant, Canadian Stage. Originally from Munich, Germany. Stratford debut: Assistant director of Antony and Cleopatra. Elsewhere: Director: Hamlet (St. Lawrence Shakespeare Festival); The Tempest, King Lear (upcoming) (New Open Space Company, Paris); Trying (Centaur Theatre); A Funny Thing Happened on the Way to the Forum, The Mousetrap, Steel Magnolias (Drayton Entertainment); Dry Streak (Grand Theatre); Apollo of Bellac (Shaw Festival Director’s Project); Oleanna (Sudbury Theatre Centre); Orson’s Shadow (Pilot Group); Chekhov’s The Bear, The SantaLand Diaries, Power Lunch (Lunchbox Theatre); Driving Miss Daisy (Port Stanley Festival Theatre); The Godot Cycle (Toronto Fringe); The Collected Works of Billy the Kid (American Conservatory Theatre, MFA program). Assistant Director: Age of Arousal, The Women (Shaw Festival); Night and Day (American Conservatory Theatre). Resident director: The Railway Children (Marquis/Mirvish). 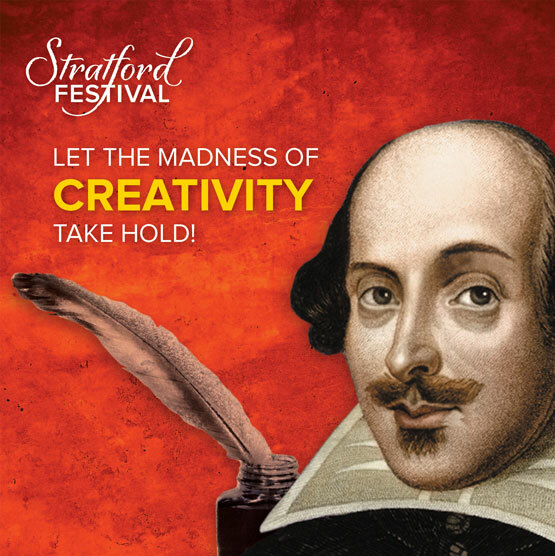 Awards: Ottawa Critic’s Circle Award, Best Director, Hamlet, St. Lawrence Shakespeare Festival.